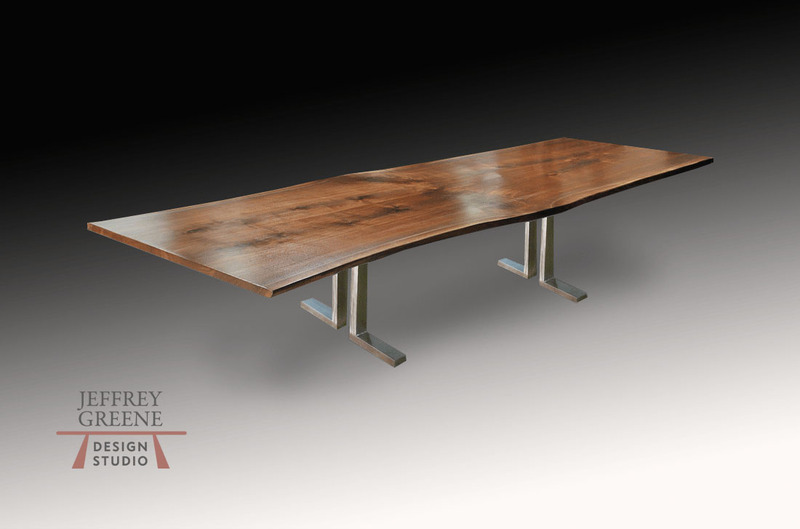 This design contrasts cool industrial with the warmth of an organic Live Edge Wood Slab. It is particularly good when the Slab Conference Table requires optimal legroom. This is a popular design in spaces with similar metal finishes and geometric angles.